Protein remains the No.1 sports supplement, generating approximately $4 billion a year – and this figure is expected to rise as people continue to turn to the macronutrient to meet their dietary needs. The benefits of protein powders have been extensively researched – and when combined with regular exercise and a balanced diet they can have a major impact. Protein can be found in a variety of foods, such as milk, beef and peas, but it can’t be stored by the body. 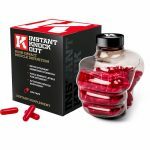 Therefore if you are working out or looking to lose weight then adding extra amounts to your diet has obvious benefits. Ideally you are looking at including anywhere between 1-2g of protein per kg of body weight depending on what your goals are, how active you are and what your diet is. There are two main types of protein that you will find in powders – with whey protein working quicker than the slow-release casein protein. As you would expect, there are many different protein powders available on the market – so which one do you go for? 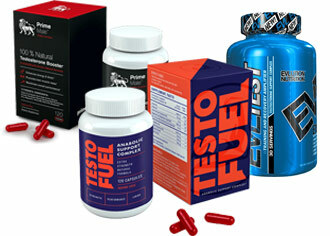 We have tested a whole variety of protein powders over the years and these are our current top three. Optimum Nutrition’s 100% Whey Gold Standard has had many challengers to its top ranking over the years but it remains the No.1 protein powder. 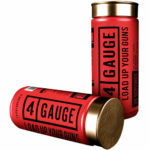 It has received a number of accolades and it is easy to see why – and crucially it passes the all-important taste test. 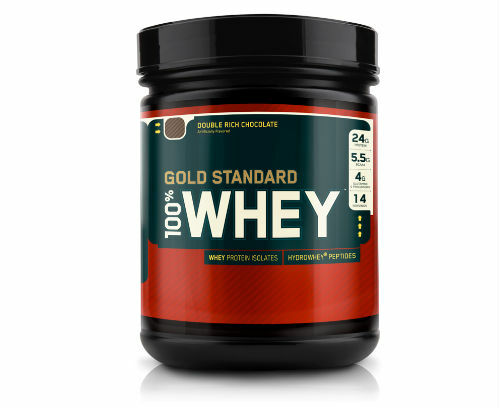 Whey Gold Standard also offers an optimum amount of protein with every serving, while there are 13 flavors available. It is certainly priced at the top end of the market, however it is worth parting with your hard-earned cash for a premium product. 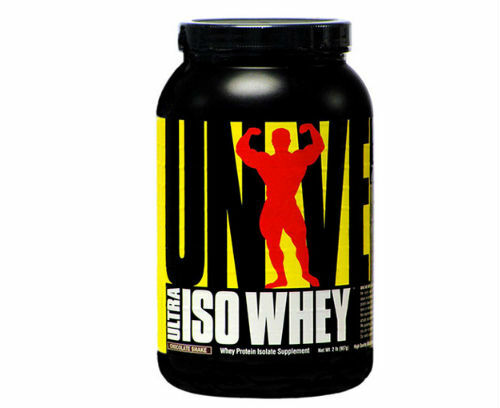 Pushing Gold Standard all the ‘whey’ – so to speak – is Ultra Iso Whey from Universal Nutrition. This superb powder serves up a whopping 21g of protein per 25g serving, while it is supported by a really strong amino acid profile. On top of that, it has 0% fat and is perfect for people who are lactose-intolerant. It has received plenty of positive reviews from users who have praised Ultra Iso Whey for its taste and the ease of mixing. It is only let down by the fact there are a limited number of flavors available. 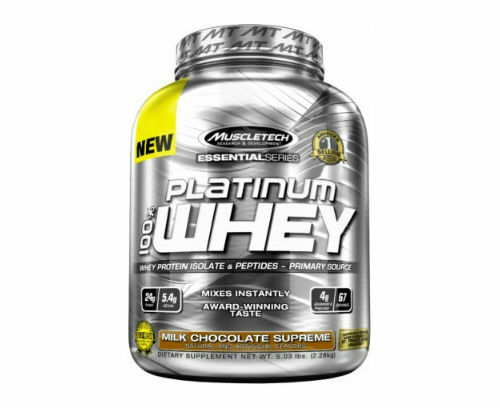 MuscleTech’s Platinum 100% Whey is another impressive protein powder that ticks the boxes. Platinum 100% Whey mixes easily, has a great, award-winning taste and contains a notable amino acid profile. 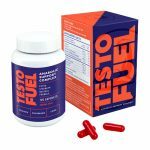 It doesn’t quite match up to Gold Standard and Ultra Iso Whey in the protein-per-serving stakes, but it still delivers a good amount. MuscleTech also cites a clinical study highlighting the benefits of whey protein – and it is always encouraging to see companies supporting their claims with scientific research. Click to read more protein reviews.